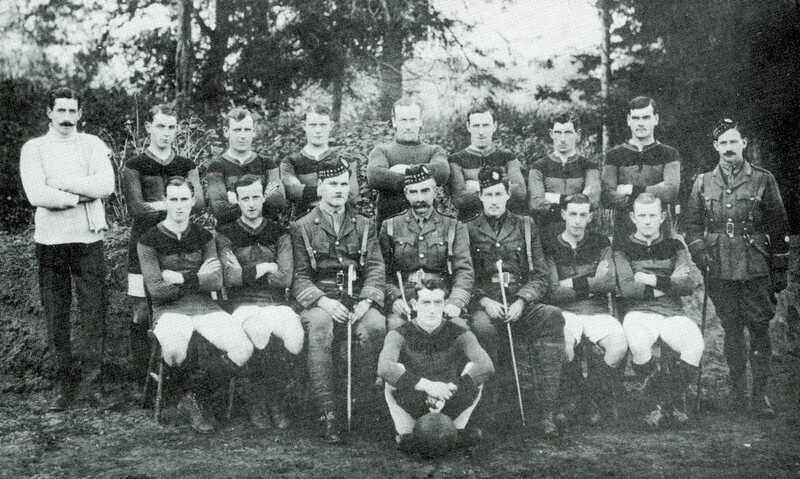 Team nomination; The 16th (Service) Battalion of the Royal Scots was raised by Sir George McCrae a few months after the outbreak of the First World War in 1914 and was the first of the so-called “Footballer’s” or “Sporting” battalions. During this early period of the war 16 players connected to Heart of Midlothian FC enlisted in the army with many of them joining “McCrae’s Own”. The battalion also received footballers from a number of other clubs including Raith Rovers, Falkirk, Dunfermline Athletic, Hibernian, St Bernards and East Fife. Hundreds of supporters particularly from Hearts and Hibs signed up as did notable players and athletes from other sports. In France the battalion suffered high casualty rates during the opening days of the first Battle of the Somme in July 1916; the loss of 12 officers and 573 men accounted for more than three quarters of its attacking strength. A memorial cairn, erected in 2004, now sits at Contalmaison, where many members of the battalion lost their lives.